[page 119] Divination, in the widest sense, is necessarily the subject of this book, since I seek to read some of our signs at the end of an age. [page 226] This short book1,Omens of the Millennium, has been written in the ancient conviction that "what makes us free is the Gnosis." Does Bloom have any unique insights as to angels, dreams, or resurrection? No. What do you expect from a critic? He wants to list, analyze, and critique what others have said about these fields. What others? Sufis, Catholics, Gnostics, Jews, Zoroastrians, Platonists, Neo-Platonists, Kabbalists, and literary figures such as, Shakespeare, Emerson, Blake, and Hart Crane, among many others. If you know nothing about the three fields of the title, you will be capable of describing the nothing you know much better after reading this book. On the other hand, when Bloom talks about some subjects, you get a feeling of empowerment rather than impoverishment. On the subject of empowerment itself, he nails it aptly and concisely. [page 16] These days, in our America, so many go about proclaiming "empowerment," by which actually they mean "resentment," or "catering to resentment." To be empowered by eloquence and vision is what Emerson meant by self-reliance, and is the start of what I mean by "mere Gnosticism," where "mere" takes its original meaning of "pure" or "unmixed." In his essay Self-Reliance Emerson says that nothing worthwhile can to come to you except by what you create from your own effort, that "no kernel of nourishing corn can come to you but through your toil bestowed on that plot of ground which is given to you to till." Bloom calls this essay of Emerson the epitome of American Gnosis and hints that a strong dose of self-reliance would serve us far better than the mewling and pewling of those who cry for someone else to bestow "empowerment" upon them and who resent those they perceive as withholding this boon from them. Bloom blasts New Age prose as being "of a vacuity not to be believed" and says that "a transcendence that cannot somehow be expressed is an incoherence." He begins his Prelude with a quote from Emerson: "I am to invite men drenched in Time to recover themselves and come out of time, and taste their native immortal air." Bloom gives us this example of how an "authentic transcendence can be communicated by mastery of language." He then blasts the current fad of "cultural criticism" which has invaded his speciality of literary criticism, "for which there are no selves, whether in the writers or readers, but only politics: gender, racial, class, ethnic." (Page 19) Bloom's deep sense of self keeps his writing lively and on point. [page 20] Since my own sense of self-reliance would be impossible without a sense of the deep self, and since transcendence for me began with the wonder of reading great poetry, I am compelled to testify that literary works can communicate transcendence. What, very strictly, is transcendence? As an attribute of God, it means a climbing beyond the material universe and ourselves, insofar as we are nothing but units of that universe. As a human attribute, it is dismissed as an illusion by materialists, yet it has an uneasy existence in many of us, and a more secure hold in a scattering of individuals through the ages: mystics, visionaries, sages, men and women who have a direct encounter with the divine or the angelic world and are able to convey something crucial in that encounter to us. [page 25] That is always best which gives me to myself. The sublime is excited in me by the great stoical doctrine, Obey thyself. That which shows God in me, fortifies me. That which shows God out of me, makes me a wart. . . .
[page 25, 26] In the highest moments, we are a vision. There is nothing that can be called gratitude nor properly joy. The soul is raised over passion. It seeth nothing so much as Identity. It is a Perceiving that Truth and Right ARE. Hence it becomes a perfect Peace out of the knowing that all things will go well. Vast spaces of nature, the Atlantic Ocean, the South Sea; vast intervals of time, years, centuries, are annihilated to it; this which I think and feel underlay that former state of life and circumstances, as it does underlie my present, and will always all circumstance, and what is called life and what is called death. There is no better author to read to restore one's self than Emerson, to my mind. Reading Self-Reliance is more restorative of self than a lifetime of psychoanalysis or a bottle of Grandma's spring tonic. Naturally the solitary doctrine of self-reliance is lost on those "whose smallest human unit is two people"2. [page 38] Saint Augustine himself, greatest of all Christian authorities, said that we did not know whether angels had material bodies, but his wise remark was not influential. Saint Thomas Aquinas can be taken to represent the Scholastic Catholic positions that angels are purely spiritual, while the poet John Milton can stand for all those humanists and Protestants who insisted that all actual beings must be embodied. There you have the certainty of the literary critic: Don't know, No, and Yes. When Bloom does venture a definitive opinion he get matters a bit bollixed up. Here's how he describes Aquinas's opinion on the nature of the angel body: "Saint Thomas rather movingly had a kind of Platonic nostalgia for the image of pure spirit, of intelligence unimpeded by the flesh and its urges." Bloom seems to favor treating spiritual beings (angels) as if they were only human-made "images of pure spirit" or abstract thoughts of human beings. [page 50] I venture that Metatron is the archangel of our moment as we approach the Millennium; all the omens -- other angels, prophetic dreams, manifestations of the Resurrection Body -- are aspects of his being. As the lesser Yahweh, he is the angel of angels; he is also the celestial interpreter of prophetic dreams; his transfigured form is the astral body of the "near-death experience"; his man-God reintegration restores the supernal Adam and illuminates the messianic aspects of the Millennium. If Bloom had read Rudolf Steiner's works for the amount of time he spent reading all the archaic texts on gnosticism, angels, and dreams, he would be much clearer on items that in this book he can offer either a laundry list of possibilities or one wrong answer to the reader. But it is exactly Bloom's laundry list that made this interesting reading for me. For example, I didn't know that the original images of the Cherubim was one of fearful guards set to prevent humans from re-entry into Eden. Or that Aupleius, the 2nd Century A. D. Greek writer, identified "daemons as inhabitants of the air, with bodies of so transparent a kind that we cannot see them but only hear them, as Socrates did his daemon." Steiner described in many places how the Greeks of that time were losing their ability to see the spiritual beings, and this gives us data that the voices remained long after the spiritual being became too transparent to see. Earlier they had been visible, and much later even the voice disappeared from conscious access by humans. This indicates an evolution of human consciousness which Bloom displays no knowledge of, which leads him into one conceptual miasma after another. [page 65] This leads us to the least Hebraic idea in Christianity: by their own fall, Adam and Eve and their progeny are eternally guilty and predisposed to sin, particularly in regard to obedience and to sexuality. Only the atoning sacrifice of the incarnate Christ, as defined by Saint Paul, Augustine's precursor, can free us from our guilt. The emphasis on guilt in the above description of the Fall seems to me to be more Hebraic than Christian in origin. Here's a much simpler explanation of the Fall and Redemption than the traditional Christian one, however stated. Lucifer came down from the spiritual world to offer Adam and Eve a precocious gift of light, which gift hurled humanity forward in development and propelled them into freedom. This Leap into freedom brought with it a descent into materiality which by Socrates's time permitted him only to hear but not see his daemon. Without correction, the descent into materialism would have been irreversible, and humankind, not having precipitated the fall in the first place, was helpless to prevent it. The correction had to come from the same or higher level of the spiritual world that initiated the Fall. That correction came by the effort of Christ who assumed the body of Jesus of Nazareth in order to recover our spiritual nature for us. His Redemption completely offset the initial Leap into freedom that Lucifer gave humankind. What others have tended to call sin or guilt can be seen, rightly understood, to be results of the human ability to perform actions in freedom. With Christ's redeeming gift to us in the Deed of Golgotha, we can learn to merge freedom with morality as we humans begin our return trip to the spiritual world of the last Resurrection, "when sun and stars will rise and set no more." [page 70, 71] How is it that Ezekiel and Daniel, and the Gnostic, Sufi, and Kabbalist sages, and Saint Francis and Saint Teresa and Joseph Smith, could see angels, and we cannot? . . . Human nature changes, and miracles and angels ebb away. How and why? The amount of calendar time between Joseph Smith and Ezekial is undoubtedly twenty to thirty centuries and yet Bloom asks the question as if no evolution of human consciousness could have occurred during that immense span of time. Once one understands the fall into materialism, one no longer expects the same human capabilities of a contemporary of Joseph Smith and a contemporary of Ezekiel. What is amazing is that a Joseph Smith had any spiritual perception at all in his relatively modern time. 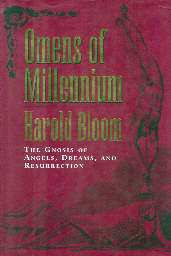 If one doesn't understand evolution of consciousness, one could say as Bloom does, "Angels violate the law of nature." If one understands that the evolution of consciousness has resulted in the complete loss of spiritual perception for most people in modern time, one would say that, "Angels seem to violate the laws of nature for most people, up until now." [page 80, 81] Joseph Smith had set forth the very American and pragmatic principle that angels can and should perform only what we cannot accomplish for ourselves. . . . The operative principle at our moment seems to be the exact inverse of Joseph Smith's admonition: hosts of deluded souls now implore angels to do for us what we should do for ourselves. Recall that what Christ did for us with His Deed on Golgotha was something that we were humanly unable to do for ourselves. Smith had this principle correct, not only for angels, but for every level of the spiritual hierarchy. Our Guardian Angel accompanies us from lifetime to lifetime and carries around the knowledge of our deeds from lifetimes ago that we have a chance to balance karmically those past deeds by our actions in this lifetime. This is one example of a deed that angels do for us that we are not able to do for ourselves. Karmic balancing of one's deeds, on the other hand, is something each one must do for one's self. Even one's Guardian Angel cannot perform such deeds for one. But if one asks for help in making a decision, one's Guardian Angel will provide the guidance if one allows the angel to work upon one's astral body. The following passage shows the folly of a literary approach to understanding angels. In it a disciple of the Kabbalist Isaac Luria writes about the creation of angels in the process of talking. The process he describes is more correctly identified in spiritual science as that of creating elementals which are spiritual beings but definitely not angels. [page 86] And now let us explain the subject of prophecy and the Holy Spirit . . . . It is impossible that anything that comes out of man's mouth should be in vain and there is nothing is completely ineffective . . . for every word that is uttered creates an angel. . . . and these angels are the mystery of maggidim, and everything [i.e., the quality and dignity of these maggidim] depends on the measure of one's good works. There are maggidim which deceive a little, for though they are holy and their root is in the side of holiness, yet [the imperfection of] the human act [that brought them into existence] caused them [to be imperfect]. Bloom did not think much of Freud and his interpretation of dreams, even though he acknowledged Freud's importance to the twentieth century. He referred to Richard Wollheim as "Freud's most lucid exegete" -- one who writes about Scripture, and he even went so far as to call Ernest Jones, Freud's hagiographer -- one who writes about a saint's life! A saint who would be a prophet of dreams. [page 106] In a marvelous irony, he [Freud] intended to establish his status as a prophet by denying to dreams any prophetic function whatsoever. Bloom saw Freud as Francis Crick did, "a physician with a remarkable literary style." [page 110] He was a great writer, as much a novelist of the self as Saint Augustine and Dante, as much a major moral essayist as Montaigne and Emerson, and a considerable dramatist, though not quite in the range of Molière and Ibsen, let alone of that mortal god, William Shakespeare. Freud's true place is as the rival of the central writers of the twentieth century: Proust, Joyce, Kafka, Beckett, Pirandello, and their handful or so of peers. Freud wished to be Darwin but, as Alexander Welsh shows, had more authentic affinities with Dickens. In addition Bloom suggests that we think of Freud as an "automobile mechanic of the psyche," whose job would be "to lift up the hood, clean out the carburetor, send the human machine back to workaday, ordinary misery." The next passage by Freud in 1934 suggests the metaphor directly and allows us to delineate the difference between Freud and Jung rather clearly as we shall see. [page 116] Psychoanalysts are fundamentally unreconstructed mechanists and materialists, even though they refuse to strip the mind and the soul of their as yet undetected qualities. They study occult material only because they hope that this would enable them to eliminate once and for all the creations of the human wish from the realm of material reality. To the contrary, I see Jung like a customizing auto shop to which one brings one's worn out old sedan to be re-painted in bright colors and to have its engine supercharged. What Freud tried to remove from everyday life, Jung tried to add. Students of Jung study occult material to invigorate their ordinary material lives with hitherto unrecognized creations of their wish realm. [page 118] The dream is itself an interpreter, to be overcome by the True Interpreter, Freud. For Freud, the dream is the Angel of Death, and Freud is Jacob (his actual father's name), wrestling until daybreak so as to become Israel, and then depart, limping on his hip. 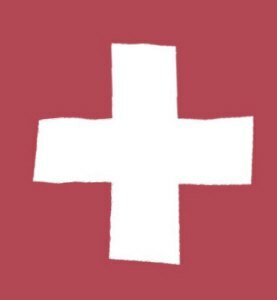 "But it is no sin to limp," Freud/Israel genially remarked in a letter, triumphant at having usurped dream interpretation, for his time. If I may hazard a guess at what Jung would say about the matter, he would recommend that we ask the dream for an interpretation and learn to leap where otherwise we had been unconsciously limping. Bloom refers frequently to Skekhinah, "the female indwelling presence of God in the world." Skekhinah can be recognized as the being referred to as Sophia in other traditions. [page 120] The Skekhinah is hardly to be thought of as passive; her massive strength is that she reflects all the colored lights that emerge from all of the sefirot, all of the emanations or powers or potencies of God. In ancient times people could see directly into the spiritual world -- they knew for a certainty that it existed because they remembered their own lifetimes prior to the current one. They knew that they had lived a previous life on Earth, had transited into the spiritual world for a time and then returned. There was no need to discuss this as everyone knew it. There was no writing at the time but even if there were, no one would have thought to remark on such a circadian experience, as natural and normal as breathing, walking, and hearing. To these people there was no barrier between Heaven and Earth. As that changed over time, it began to take more intense effort to see into the spiritual world, to recover a memory of a previous lifetime, and some people even began to argue whether the spiritual world existed or whether previous lifetimes did. By Aristotle's time, previous lifetimes became no longer even debatable because he wrote this, "The soul is born when a man is born and after death becomes a spirit to contemplate his one life on Earth for eternity." Later with the advent of Baconian science, which only accepted the evidence of sensory data, the spiritual world became also debatable, and most scientists denied its existence entirely. [page 136] All shamanisms depend upon the idea that once there was no barrier between Heaven and earth; the shaman is the person who can break through our limits, and who can achieve the freedom of reopening the way back to larger human powers, now apparently lost. Why are shamans mostly ignored by science today? One need only ask what Freud, the epitome of a materialistic scientist of the psyche, would say about shamans. They are sick. Even scholars of shamanism paint with Freud's palette. [page 158] The principal scholarly study, Shamanism (1951, 1964), by the late Mircea Eliade, emphasizes that shamans, throughout space and time, originate from initiations that blend pathological illnesses with prophetic dreams, so that we scarcely can distinguish the sickness from the prophecy. To distinguish the sickness of the seer from the spiritual world being seen requires an intense training that few people have had access to, up until now. Such training is available in the works of Rudolf Steiner, a clairvoyant from birth, who grew up studying science and keeping his native ability to see into the spiritual world to himself until he was nearly forty years old, at which time he gave over 6,000 lectures and wrote several books which taken together comprise his spiritual science, Anthroposophy, which combines the two concepts of Anthropos - the complete human being, with Sophia - the female goddess of knowledge. In his Knowledge of Higher Worlds Steiner carefully delineates how one is to go about attaining the spiritual world without encountering one's own pathology as a projection onto the spiritual world. If Steiner makes attaining spiritual worlds seem as difficult as becoming a brain surgeon, one might consider if one would allow a shaman, who had achieved his skills during one session eating peyote buttons, to operate on one's brain. This next passage is an epitome of the miasma of confused thoughts pervading the book, the straightening out of which is a task far beyond what may be attempted here. It shows the folly of using literary criticism to analyze things of the spiritual world. [page 147] Essentially we may call the astral body by its alternate names of the "body to come," or the "Resurrection Body." The Iranian Sufis excelled in descriptions of their visions of "the Man of Light," the "new body," or Adam of your being." This Resurrection Body is at once your true ego, or self, and your alter ego, or angelic counterpart, a conjunction that we have encountered before. [page 158] Why did the Jews, for rather more than a thousand years before the Pharisees, have no doctrine either of immortality or of resurrection? In the next passage Bloom has managed successfully to unearth from his sources the four bodies of the human, although the descriptions are a little skewed at times. Below in this order you will find descriptions of what Steiner calls unambiguously: 1. Physical Body, 2. Etheric Body, 3. Astral Body, and 4. "I" or Ego Body. These are not material bodies, none of them. The word body only refers to the organization as a separate spiritual entity. [page 171] 1. The "elemental" or apparent body, the one that we can see, touch, and weigh: it is accidental and perishable. Let us call it the "apparent body," for convenience. 2. Within (1) there is a hidden body, also elemental but essential and imperishable: "spiritual flesh," as Corbin calls it, which I will adopt. 3. The traditional "astral body," not elemental yet still accidental, not everlasting, because it will be reabsorbed by divinity in the resurrection. I will call it the "astral body" proper. 4. The eternal, subtle body, essential and angelic, the ultimate guarantee of individuality, and akin to the zelem of Kabbalah and the "immortal body" of the Hermetic writings. Let us call it the "angelic body." 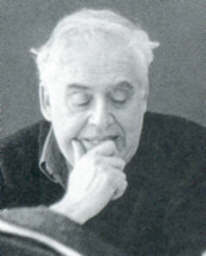 Harold Bloom tells us that "rather more than 100 millions American adults expect a Second Coming of Jesus" but he has nothing to tell of the number of those who know the Second Coming of Christ has already occurred by the middle of the 20th Century. This event was revealed by Rudolf Steiner during the first quarter of that century, and the evidence for Christ having returned to Earth in His "glorified body" abounds. What does the term returning in Glory, on the clouds, or in a glorified body refer to? It refers to Christ returning in the etheric plane which fills the etheric body or life-body of our planet, so that whenever anyone calls upon Christ, He will appear to them. These appearances, well-documented, began and increased during the middle of the last century. Those who are expecting Jesus to return in a physical body to found a Kingdom of God on Earth will be as sorely disappointed today as those followers of St. Paul who expected the return to be imminent in their own time. The Deed on Golgotha was a one-time event necessary to balance the precocious gift of Lucifer which powered humankind's Leap into Freedom. With Christ's help we will be able to avoid either of the two poles of becoming a moral automaton as Lucifer would wish for us, or being a free but amoral human as Ahriman would desire. We can go forward in freedom and light into a future assured that in our times of temptation by luciferic and ahrimanic forces we can call upon Christ to be our balance point between those two extremes from now on. 1) Re "short book" comment: This large hardback book was a fast read due to Bloom's writing style and the wide margins and double-spaced type which kept the word density per page to about 40% of a normal book this size. Return to text above footnote 1. 2) The quote came from Marx -- Karl Marx -- but I suppose it could equally have come from Groucho Marx for whom the smallest human unit also consists of two people: him and the woman he is chasing at the time. Return to text above footnote 2.